Today I bring you my first DECOLOOK…produced next to a Decoration Specialized blog, my outfit proposal to stay in a lovely hotel! She’s a stylish kid indeed! What cute, little, tired fashionista! What cute, little, tired fashionista!!! Aw what a sweetie, such individual style already! This photo is so cute! I love the flower jacket and her booties. She’s a little it-girl! OMG!!! That look on her face. She is like; “This is taking forever, just like I figured.” She is really dressed cute, and she is very cute. mhhh, tired? I think she looks really unhappy. more fun less fashion…. LOL. I remember being that age, and everything adults do is boring and inexplicable. There is no such thing as enough fun for kids, as they could play forever not stopping to eat, wash or anything else. Its not a bad idea to get kids used to dealing with things other then “fun” because real life awaits. What a sweetheart! 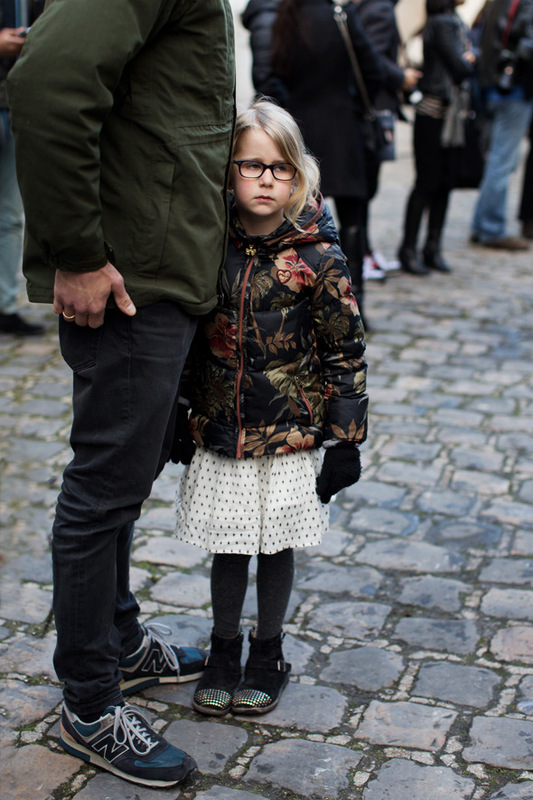 She looks so stylish for a little girl, yet perfectly displays the tired, possible boredom, of a young child. Cute photo! Love the polka dot skirt! Love this little girl ! Awww I almost want to adopt her. 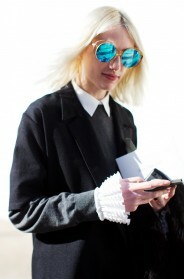 Her expression says what everyone feels at the end of fashion week. Now, that´s a “I wanna get out of this place FACE!” that I´ve ever seen! Bless her cutie self! Los Angeles is rife with adorable accidental child hipsters. They have a wonderful sense for mixing colors and textures. HAHA. So adorable! I am sure she would rather play dress up at home and be the only little star. Fashion is fun, sharing dad’s attention is not! Her outfit probably costs more than my entire wardrobe.